If you are looking for a romantic valentine gift for someone special, check out Mique's fun valentine on the hour idea. It is an idea that she originally used for an anniversary gift and it is a great way to leave small and special gifts for your valentine to enjoy all through the day. It can be as easy as love notes and candy bars or more elaborate if the occasion calls for something special. 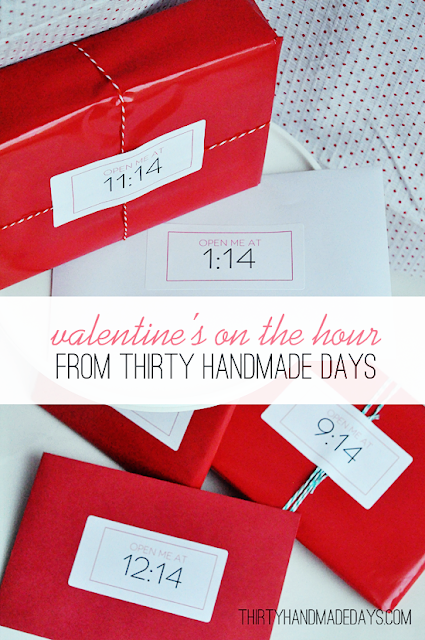 You can get the free valentines on the hour printables over at Thirty Handmade Days.